To be honest, most of the first year with my first baby was a bit of a blur. 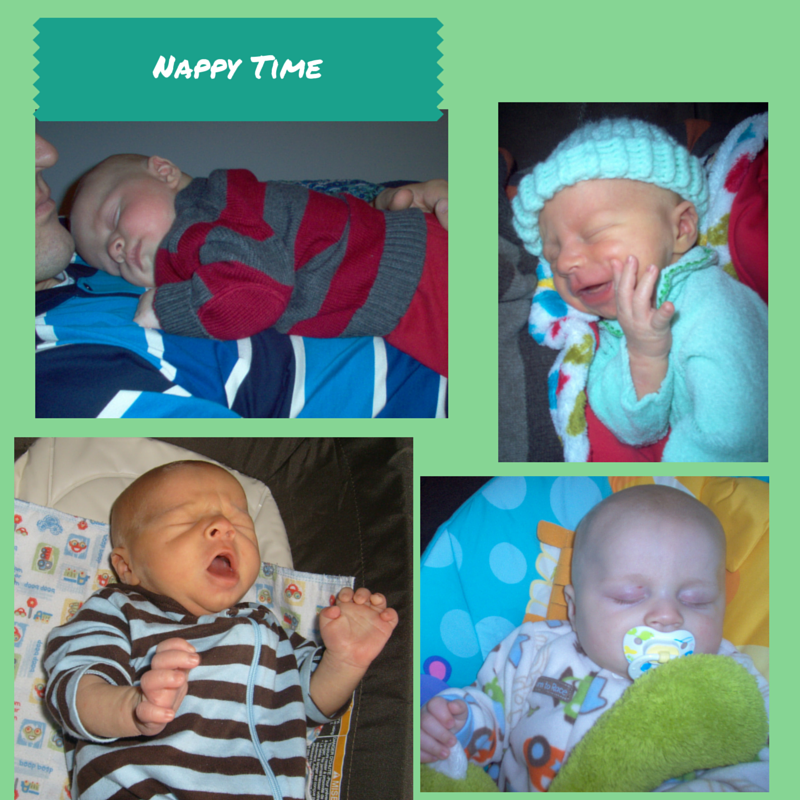 From trying to figure out breastfeeding to remembering which appointment to take him to, there’s so much new stuff going on…with very little sleep. Here are a few things I remember from the first year. From the moment we got released from the hospital, it seemed like we were going back to one or to a doctor’s office A LOT. In fact, the day after we were released, we had a check-up with our pediatrician. Luckily, it was my family doctor, so I felt comfortable. I did not feel comfortable with them having to take my baby’s blood so soon! He had been a little Jaundice in the hospital, so they needed to check his bilirubin levels to make sure they were going down. They had to prick his heel, and “milk” the blood out. NOT a happy camper. And I’m talking about me. It turned out, the lab lost his blood, so we had to go to the ER that night for a new draw. They didn’t like the numbers, so we had to go back to the hospital again they next day (Saturday,) for ANOTHER blood draw. Luckily, this time the numbers went down. After that disaster, we still had check-ups a couple of weeks later, then at 3, 6, 9, and 12 months. Plus, I had my 6-week OB check. Ugh. It felt like we were living in a doctor’s office. Good thing I didn’t know what was to come with the twins. I should really say, lots of napping. You know how they say, “sleep when the baby sleeps?” Well, this is an awesome theory, however, when my baby slept, he did it in 20 minute increments. So, by the time I fell asleep, he was back up and ready to eat again. They also had me waking him every three hours to eat at night when we first got home. Not only did he need to eat to gain weight, but it helped with the Jaundice levels too. However, I think this really started a bad habit. In fact, I don’t think he’s slept through the night since. Just kidding. Not really. We had a few family and friends come to the hospital, then EVERYONE wanted to come meet the baby once we got home. It was a little overwhelming. It was really nice, though, when they brought meals. Me and my husband were both so exhausted, it almost took too much effort to reheat things. We ate a lot of cold leftovers. After everyone had met the baby and the novelty wore off, friends kind of disappeared. Sure, they called for a while asking if we wanted to go out, but we didn’t. Luckily, our parents were around for support. First smiles, first rolls, first sitting ups, first words…just so many fun, new things happening every day. I took a TON of pictures and videos. This was actually really helpful, since I don’t remember many of the moments happening due to sleep deprivation. Time also seemed to go really fast. 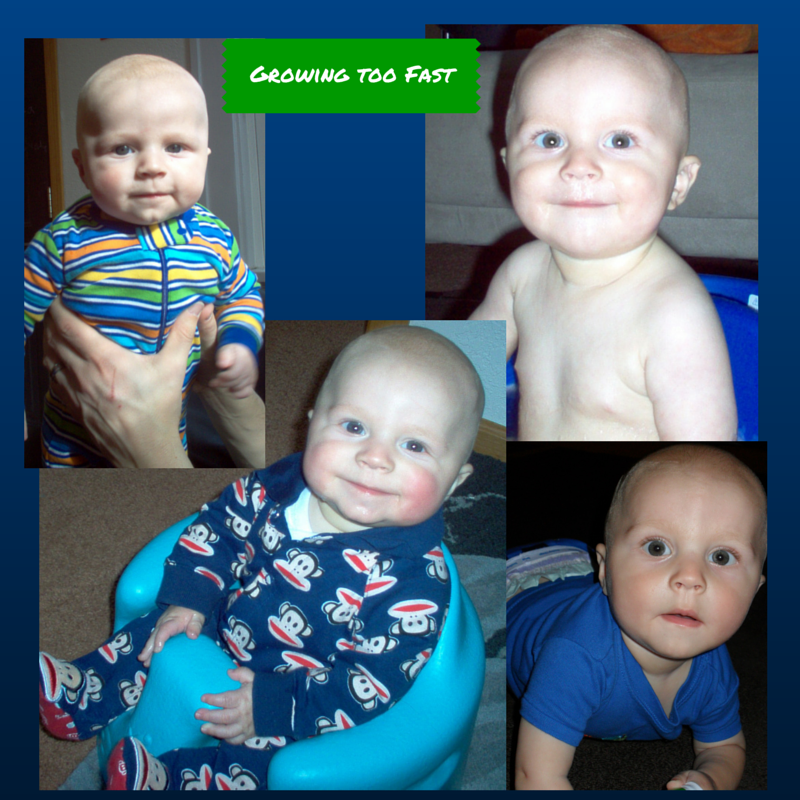 Sure, each individual day went slow sometimes, but all of a sudden my baby wasn’t a newborn anymore. He was almost a year old. Good thing I have photographic proof! By now, you know me and my love of theme birthday parties. You can see examples here and here. 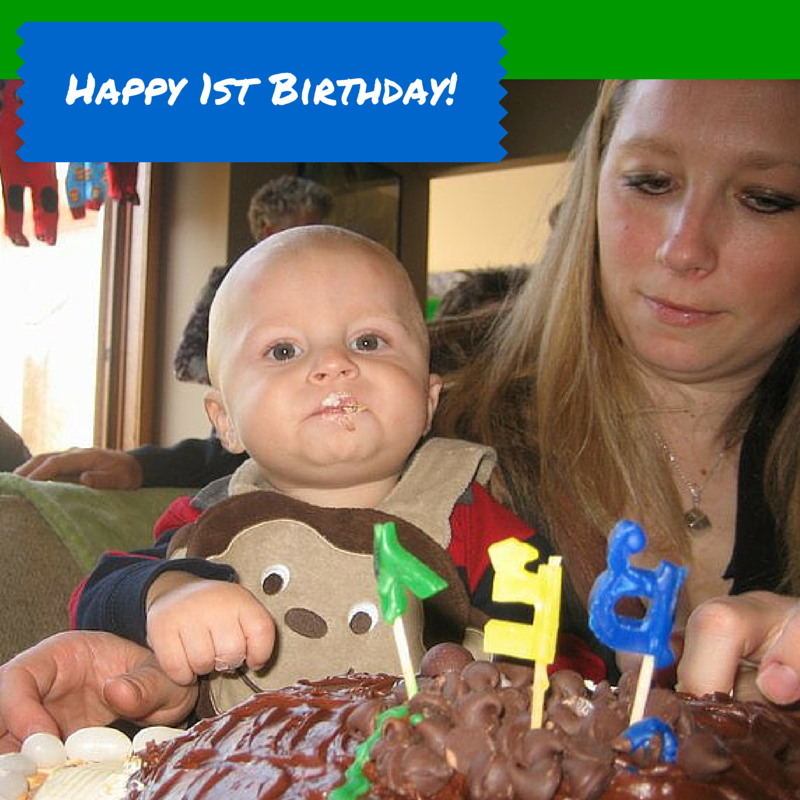 Well, it all started out with this guy, and his first birthday party. I may have went a little Bananas. Pun intended. 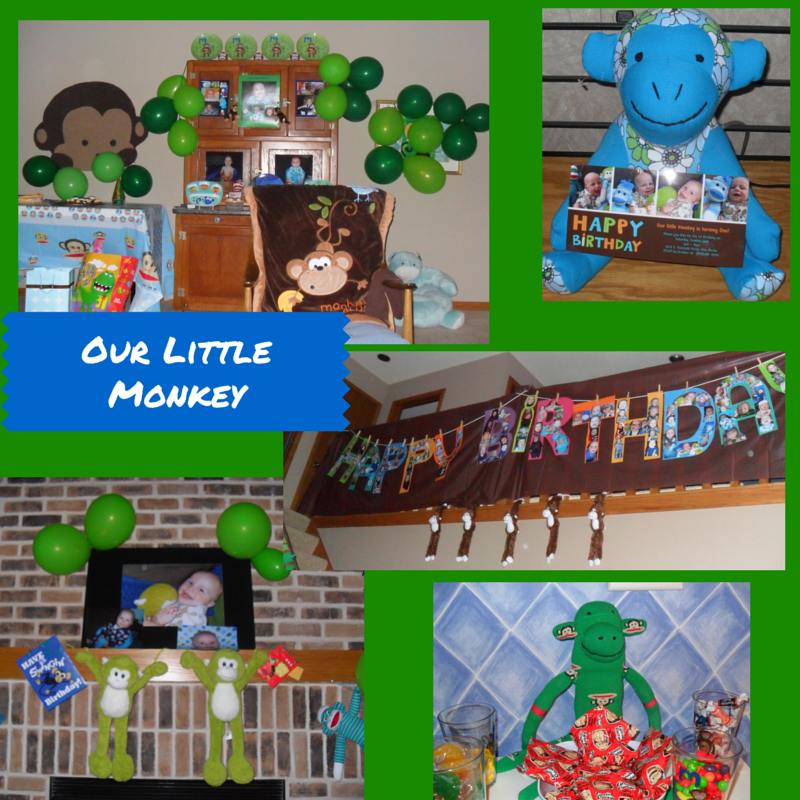 He was worth every single green balloon I made my husband and dad blow up. Next week, we’ll see what happened in year 2. Awww, your pictures make me miss my kids being little. They’re all teens now. That’s a cute theme for a birthday party. I’m not a mom yet, but can’t wait to be one someday and share all of these experiences 🙂 Wisconsin girl as well right here! Aww.. the first year goes by so fast, but it is so special. This post just brought me right back to that sweet time!! Love the way you tell your story! Ugh and I hear you about the doctors appointments. We pretty much lived at the pediatrician and GI doctor when she was 2-4 months old! Aww, too cute! Your collages reminded me of perfect little scrapbooking pages. Aww, I remember all these things with my first as well! It seemed like the appointments would never stop! I also took a ton of pictures and video. Not so much with my second, but still a bunch lol. Haha! Oh my goodness. I can’t help but chuckle at that sweet little smile. I’m a first born so I’m partial to First Born Friday. 🙂 It’s crazy how fast the first year goes. I’m always amazed at how much those little bodies change so quickly. Oh no, 20 minute increments? How did you survive that? You poor thing. What a cutie!! The first year of my son’s life is a total blur to me. I’m glad I’m not the only one . Memories are great to have especially when you can see them in picture form. Kids grow so fast too which is beautiful and overwhelming. 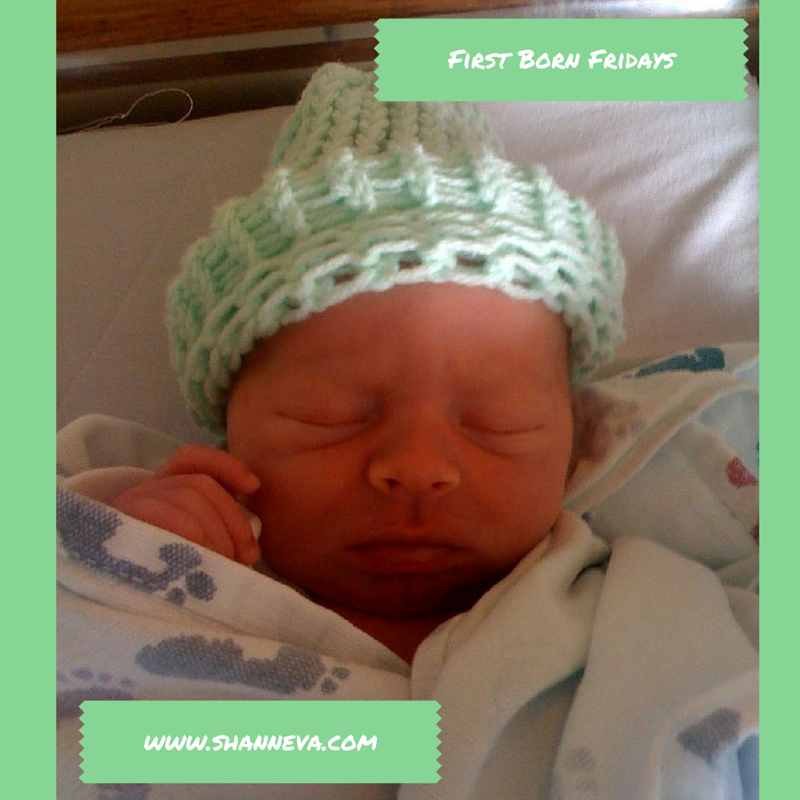 yeah, the first baby is pretty awesome – I wish I would have been more firm with people with my first. I didn’t ever want to hurt people’s feelings – but I ended up get my feelings hurt a lot because everyone had an opinion bwhat I was doing wrong. Yes, everyone has an opinion…especially when you don’t ask for one. Your post makes me smile. The firsts were so much fun! Since we had all four of our babies at once, some of those things were magnified. It is amazing how fast the first year flies. Awesome! 🙂 Congrats to her and to you Auntie! This post makes me laugh at my own craziness! our firstborns 1st birthday is coming up and I’m already planning a party that’s so over the top! I just can’t stop myself! It goes by so quickly. Great pictures that you shared. It’s amazing how fast time passes, cherish every moment you can! Awww. Love the pictures. Brings back memories of when my kids were that age. I love having lots of pictures to remind me of when my kids were tiny because it goes so fast. Thanks for sharing. So sweet! I remember those days! They surely pass by way too fast..gotta enjoy it while it lasts! The visitors, oh the visitors. We are actually telling people that we plan to be hermits with #2 for at least the first week or two. While we do want to introduce baby, we feel very robbed of newborn time from our first. We are not letting it happen again. There are a lot of firsts when you have your first baby! I remember how people are dying to come over just to get a glimpse of the new baby in the family. Awesome times. Such beautiful memories! Love all the cute pictures. The first is certainly special. We learn so much and enjoy so many wonderful memories with our first. I agree- the first year is such a whirlwind and a blur! It’s a huge learning experience! These are the most beautiful memories for most moms. I had tons of photos of my first born’s first year. I can definitely relate to the over-the-top birthdays. It had to be perfect, ya know? THE BABY IS TURNING ONE. This only happens once. lol. The first year really does go by so fast!!! My daughter for some reason loved to sleep, but she was so little and needed to gain weight that we had to wake her to feed her every 3 hours… It was such a pain since she was a sleeper & would fight it lol…. It’s so tough to have to wake them. What a great overview of all the fun (and exhaustion) of that first year! I love how you capped it with a magnificent party. 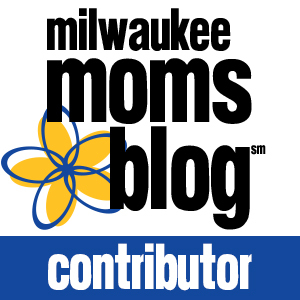 I used to wake my son up every 3-4 hours to nurse as well because he was a little jaundiced – it was ROUGH, but it helped so much! Aww happy first baby! Thanks for sharing your precious moments with us! I remember that first year with my first baby. It seems so long ago (and I guess it was since she’s already 22 years old!) but then again it sometimes feels just like yesterday. Since having my first, I have had 8 more! And I’m currently pregnant with baby #10. I guess I liked that first year so much that I just wanted to keep going…and going….and going. LOL But still, there is nothing quite like that first year with that first baby. Challenging and magical at the same time. Wow! Congratulations on baby #10! Thank you for hosting it! Great party!